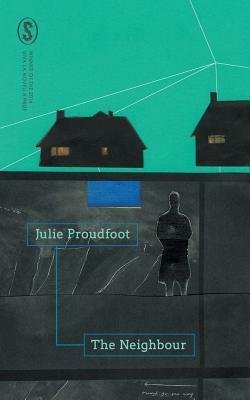 Julie Proudfoot’s debut novella The Neighbour hit my radar when I heard it won the Seizure Viva La Novella Prize earlier this month. When I read the pitch, I knew I’d have to read the book. The Neighbour sounded exactly the kind of story to slot into place beside books I’d recently been bingeing on: narratives that deal with dark sides of suburban life. The Neighbour is told primarily from the point of view of Luke, a man whose life is tethered to that of his neighbours, Angie and Ryan, by more than proximity. The neighbours socialise together; Luke helps Ryan rebuild his shed and fix things around the house; their small children, Luke’s son Sam and Angie and Ryan’s daughter Lily, climb the fence to play with one another. The closeness would appear to be near idyllic, until an accident creates a seemingly unbridgeable rift between them. In some respects the novella, particularly its ending, reminded me of a much gentler story, Charlotte Wood’s Animal People. Both stories deal with a flawed, male protagonist; neither man is good at relationships. However, whereas Wood’s novel ends in a satisfying catharsis, Proudfoot’s evokes more pathos, even horror. For me, the greatest impact of the story came from its meditation on death, or, more specifically, on the illusion of control over death – and life. Proudfoot is to be congratulated, not only on her award, but also on the publication of a beautifully written and powerful story. This review forms part of my contribution to the Australian Women Writers Challenge and Aussie Authors Challenge. A copy of The Neighbour was kindly provided to me by the publisher. I’ll look forward to reading your take on it, Annabel. I am such a scaredy cat that I will just take your word for it. Thanks for the review though. Nice to know what the book is about and what Proudfoot has achieved! Reblogged this on Proud Foot Words.